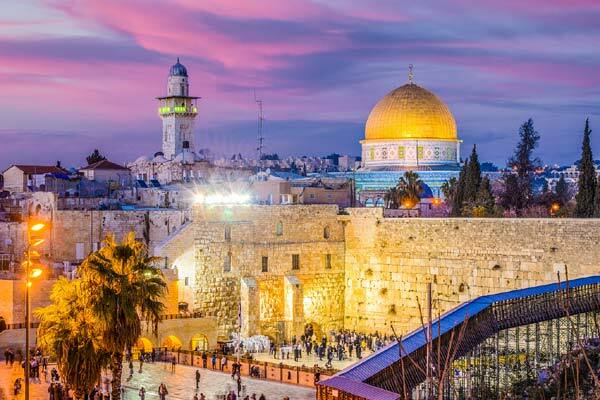 The Arab Tourism Organization (ATO) has declared Jerusalem as the ‘Capital of Arab Tourism’ for 2018. The announcement was made by the President of Arab Tourism Organization, Dr. Bandar bin Fahad Al Fuhaid, during the 20th session of the Arab Ministerial Council for Tourism held in Cairo. Al Fuhaid expressed his gratitude to the President of the Saudi Commission for Tourism and National Heritage and Honorary President of ATO, HRH Prince Sultan bin Salman bin Abdul Aziz, for supporting the announcement. He also praised the support provided by the Arab Ministers of Tourism and Arab League towards promoting tourism in the Arab world. Al Fuhaid also confirmed that declaring Jerusalem as the ‘Capital of Arab Tourism’ reflects the organization and the Arab Ministerial Council for Tourism’s continued efforts to highlight its importance as a historical and religious destination, further strengthening its relationship with citizens of the Arab nations. It also reflects the interest of Arab leaders and Secretary-General of the Arab League in preserving Jerusalem’s Arab-Islamic identity.